For a while there, I didn’t think I’d make it to round 2, but I did. I was greeted by the nurse who I’d seen when I was admitted the week before and I explained to her that it seems it was a reaction to maxolon. I was escorted to my chair in the naughty corner and was disappointed to see that I had been separated from Karine, my newfound chemo buddy who I’d met a fortnight ago. Did we talk too much? We vowed we’d make sure we were next to each other next time. She only had three more sessions after this one. I still had 10 (all going to plan). If I sound jealous it’s because I was! A nurse put an intravenous cannula in (got it in first time) and took some blood to be sent to pathology. I then went upstairs to see my haematologist. It was a pretty quick appointment, which commenced with me saying, “I’m becoming a bit of a handful aren’t I?” I can’t even remember what his response was but I don’t think he agreed. Very polite. He asked if my itch had gone. I said it was better but not gone. I told him I was pretty sure the lymph nodes in my neck were smaller. He felt them but didn’t say anything. Would he even remember what they felt like three weeks ago? I asked a few questions to clarify things some of the nurses had told me. Can this chemo regime be given every three weeks? One of the nurses told me it could but that I was probably getting it fortnightly because I’m young and fit. I didn’t think that was right. He confirmed that saying she had obviously got her regimes mixed up. Am I supposed to have antibiotics for viral respiratory tract infections? One of the nurses told me I need to have antibiotics straight away to prevent a secondary bacterial infection. That one really didn’t make sense to me. Having antibiotics for a viral infection pretty much ensures any secondary bacterial infection will be resistant to those antibiotics, which cannot be good in someone with a weakened immune system. He told me we didn’t need to be silly but needed to treat any bacterial infection early. He asked if I’d had a blood test that morning. I said I had and asked if he had the results. He didn’t have the results and he said something along the lines of that not being an issue because I was having chemotherapy regardless of what the blood tests showed because I was well. The most important blood test was that which measured my white cell count, in particular my neutrophil count. Neutrophils are one of several types of white blood cells in our body that fight infection, particularly bacterial infections. Normal counts are between 2-8. The nurses had told me they don’t give chemotherapy if the count is less than 1.5. I went back downstairs for chemotherapy and soon after someone slipped a piece of paper into the basket on the trolley next to me and said “Here are Melissa’s pathology results”. Of course, I had a look at them. Doctors always look at their own test results. Neutrophils 0.5! That is low. I let out a chuckle and said to Jenni, “Ooh, the nurses are not going to like that!” I told the nurse next to me and she asked if my doctor knew. I said he didn’t but that I knew he wouldn’t care and he’d say I’m having chemotherapy anyway. She asked another nurse to give him a call and as expected he wanted to push on with chemotherapy. 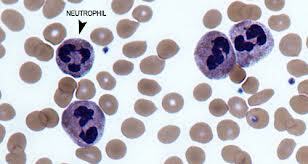 This is what neutrophils look like. My haematologist popped down a bit later to discuss my neutrophils, which in his words were “a little low”. “A little low?” I asked. “Almost non-existent”. He didn’t think so. I think zero would be considered low in his books. He explained that sometimes the first chemo is a bit of a shock to the bone marrow and then it realizes it has to work a bit harder but if my neutrophils were still low before the next chemo, I’d need nuelasta (or G-CSF, granulocyte colony stimulating factor). This is an injection that stimulates the bone marrow to produce more white blood cells. I was also informed that in young people (that’s me!) it can cause pretty bad bone pain. The good news just keeps on coming! Go you good cancer! The rest of the chemo session was pretty uneventful. The nurses snuck through the first three drugs without me realizing and the fourth one was up before I knew it. That one is infused over 1.5-2 hours. It had to be slowed down initially as it was stinging but they sped it up again and I was out before afternoon tea. I had a lovely nurse looking after me for most of the day. She usually works on the ward but was helping out in the day infusion centre that day. She was also the nurse Jenni had spoken to when I had my ‘bad day’. She said I needed to book something like a girls weekend in the near future so I had something to look forward to. Sounds like a bloody good idea to me! OK, those quotes are a bit too deep for me so I won’t finish on that note. I’ll tell you about Bali. I mentioned in an earlier post that we had a family holiday booked at the beginning of September. My haematologist advised me not to go. Initially I thought I’d still be going, maybe for a week instead of two. I thought if I got sick over there, I’d just hop on a plane and come home. When I was sick after the first round of chemo, it occurred to me that if I was sick, I would actually be sick and possibly not capable of just going to the airport and jumping on a plane. So, at that point, Bali was off for me. But then I recovered and felt pretty good, almost normal, in Queensland, so I was going to Bali again. After turning up for round 2 of chemo and finding out how low my neutrophils were, common sense prevailed and I decided it really wasn’t worth taking the risk of getting sick over there. With virtually no immune system, the risk was high. My husband was still keen to go with the kids and I started thinking that two weeks at home with no husband and no children sounded like a bit of a holiday too. Oh, apart from a little bit of chemotherapy. Very good Baker. 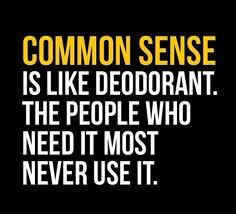 Funny. I like that you get so much enjoyment out of upsetting the nurses. I like your quote use. It will be interesting to see your count before next chemo to see if your body does its job and make more of those white blood cell things. I don’t want you to have the needle that makes you get sore bones, that sounds particularly crappy. So have you got a 3cm thing on your thyroid? Because that picture of a thyroid looks like they are only 3cm themselves? Can you feel it? Wow! Have just read your 3 last posts. One minute I’m crying and the next minute I’m laughing, you really know how to make us feel like we are with you. But of coarse not suffering like you are! Hang in there, keep using the cancer card, stay strong, be tough and keep paying out on Jenni. How dare she wishes your plane crashed. Haha. Hi Melissa. Kate told me about your adventure, knowing I’d just been on a similar one with my husband (stage 3 bowel ). So happy to see another weirdo taking photos of the adventure. People thought I was a bit nuts, but I’m happy to say after a very long, emotional,tiring and demanding 6 months ( for me, not to mention what hubby had to endure) we finally got to conclude with a photo of Craig and his oncologist post therapy and “cured”. It’s not what I would call the best year of our lives, but I’m loving reading your stories, ( my daughter is cranky because I’m hogging the iPad).I can relate to so much of it. 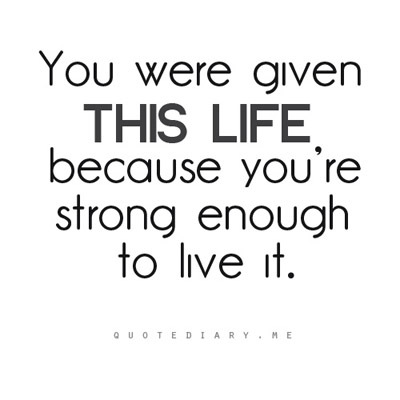 Stay strong, live each day as it comes, and take every offer of help, because after a while this new life becomes “normal” and people can forget how tough it can be. Look forward to hearing more of your adventure and hope your crappy days are few. April here, from your work (Molec. Biol)!! I heard about your troubles on the grapevine and have had a little read of your blog. I have recently been through a similar thing (breast cancer, left mastectomy and DIEP reconstruction, 6 rounds of chemo and 5 weeks of radio). I finished all of my hospital based treatment in February this year. I haven’t done much reading of other people’s blogs but now, having read yours, my experiences are flooding back to me. All those thoughts and feelings that you are having are almost identical to my experiences! I continued going to work here and there when I was going through treatment because I found it kept me sane. I had the same “can’t get out of bed” issue when I was at home, even when I was feeling relatively well. I found that going to work and doing a few things made me feel useful and occupied my brain for a few hours. I must say that the VIFM have been an amazing support. I suppose it can be comforting to know that you’re not the only one and that others have been through a similar experience and live to tell the tale. 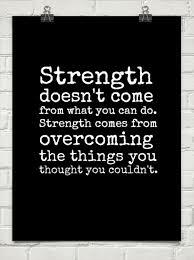 I was diagnosed in June 2012 and around the same time this year I finally felt well enough to start getting strong again. I’ve been going to a gym and trying to get fit and I can say that I am now feeling pretty damn good. I still have more than a few aches and pains from the surgeries but nothing that I can’t smile my way through!!! Good luck with it all! Lean on all of those who offer! The love and support of your family, friends and colleagues will be your lifeline!